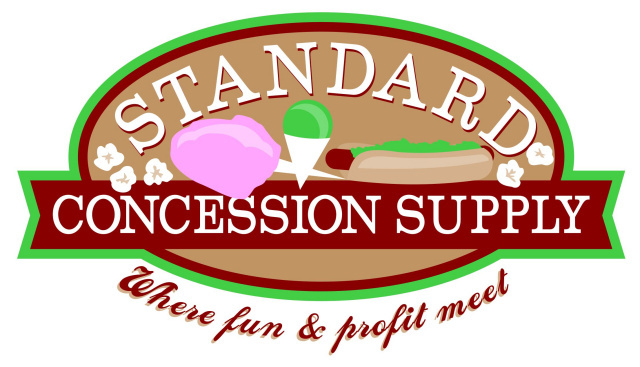 Standard Concession Supply is located in the beautiful Atlantic coastal city of Virginia Beach, VA, which is located in the heart of the metropolitan area of Hampton Roads, VA. Standard Concession Supply has been a wholesale distributor/supplier of popcorn and fun food supplies/equipment in the southeast part of the USA for Twenty Eight Years. And from our website, we now serve the entire USA and Canada with our fun food products and fun party appliances and equipment, as well as various Holiday Inflatables and yard decorations. We are a small, family run business, but we take care of our customers as if they were a part of our own family. We are authorized dealers of Great Western, Peter's Movie Time Products, Echols, Paragon, Benchmark USA, Nostalgia Electrics, Victorio, Berk Paper and Concessions, Airlite Plastics, Gerson Products, Arrett Sales International, JMarcus, and Victor Products for popcorn machines and concession equipment/supplies and Holiday products. Our concession supplies are some of the finest quality. We carry a wide variety of popcorn supplies including cups, bags, boxes, oils, buttery toppings, and popcorn in several types of packaging. We also carry cotton candy, snow cone, nacho, candy and caramel apple, funnel cake, peanut, and paper supplies. If you are looking for popcorn machines, we have a great selection home theater popcorn machines, antique style popcorn machines, and commercial popcorn machines. We also feature cotton candy and snow cone machines. And we now carry a full line of lemonade and tropical cups. Furthermore, we carry a full line of Nostalgia Electrics Fun Food Appliances, including the ccp-600 popcorn machine, the kpm-508 old fashioned popcorn maker, commercial cotton candy cart, quesadilla maker, chocolate fondue fountains, hot dog cookers, home cotton candy, snow cone, and cup cake and donut hole makers, and ice cube maker. We also carry a variety of unique gifts to make your Christmas and holiday shopping simple and pleasant. And we now feature a wide selection of Christmas and Hanukkah Inflatables and outdoor yard decorations.